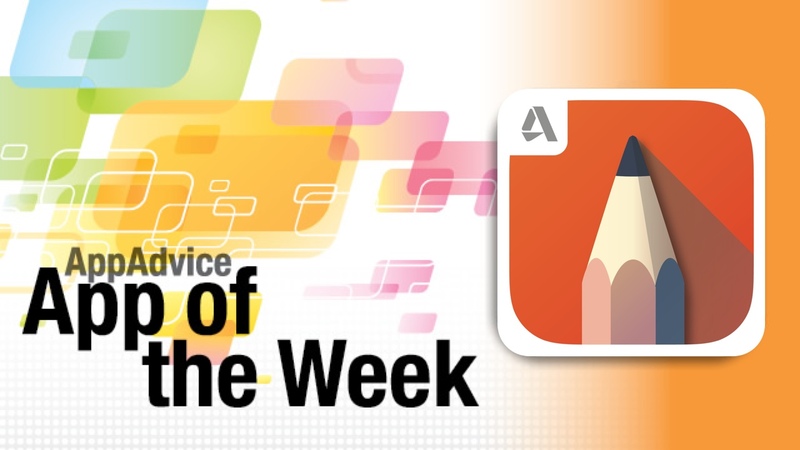 Tap into your artistic side with our App of the Week. 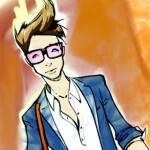 In the mood for making some artistic masterpieces on your iPhone? Then you should look no further than our own App of the Week, Autodesk SketchBook Mobile from Autodesk. 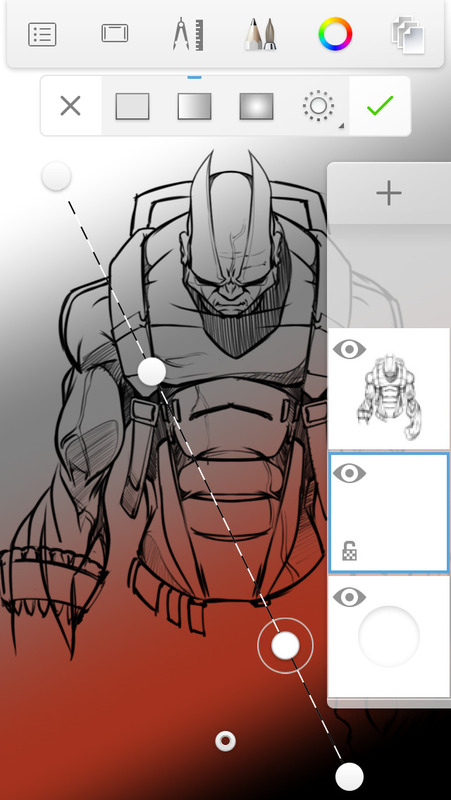 That’s right — the popular and powerful SketchBook drawing app from Autodesk is now available in a brand new, universal app for iOS, so you can have all of the amazing features right on your iPhone. The interface is simple and sleek, providing users with plenty of powerful tools for drawing their creations with precision and skill. If you also have a Wacom Intuos Creative Stylus 2 or the Pencil stylus from FiftyThree, these are fully compatible with Autodesk SketchBook Mobile. SketchBook Mobile makes use of the entire screen in a full screen mode, so it’s unobtrusive and your entire screen is your canvas. Brushes can all be customized to exactly what you want and need for your work — you can change the brush radius, opacity, rotation, and much more. There is a 2500 percent zoom so you can get incredibly detailed with your art. There are over 10 preset brushes to choose from, ranging from pencils, pens, and markers so there will always be something that suits every situation. Once you have some work in progress in SketchBook Mobile, you can organize them in the gallery view, and save and store your work in iCloud or Dropbox. You can also sign up for a free SketchBook account to get access to the Layer Editor, Symmetry Tools, and more bonus goodies. While you can get a lot from the initial free download, if you need Pro tools, these can be unlocked via an in-app purchase of $3.99. These include a comprehensive brush library, full layer controls, full Copic color library, advanced selection tools, time-laps session recording, and plenty of other features for improving your workflow. Even though most of us at AppAdvice are not artistic, we’re still loving what Autodesk has brought to our new iPhones with SketchBook Mobile. It’s the perfect companion for any creative and artistic individual. You can get it on the App Store as a universal app for free with in-app purchases. 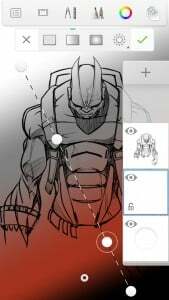 For more information on Autodesk SketchBook Mobile, check out our original post. 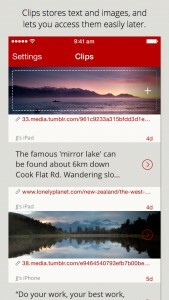 Be more efficient with your device clipboard with our Honorable Mention pick. Are you a person who wants a quick way to save interesting stuff on their iOS device, writes a lot on their iOS device, or hates switching between apps to copy-and-paste multiple bits of data from the same app or webpage? If you said yes to any one of these, then you have to check our our Honorable Mention, Clips from Clean Shaven Apps (of Dispatch fame). 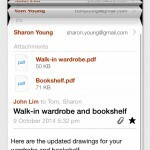 Clips is a simple app that is composed of three parts: an iOS 8 extension, widget, and keyboard. If you find something interesting in an app, from Safari or any other third-party apps that have native share sheets, just copy it with the Clips extension . Doing this means that you can grab links and it will also include the title and some text to go with it as well, and it also works for other items like images. When you have something copied with Clips, it will end up in the Today widget and keyboard (requires full access to get your clips in there). Clips will show you a history of your clipboard, and you can insert any of them into any app by tapping on a selection from the widget or keyboard. Yes, it’s that simple. 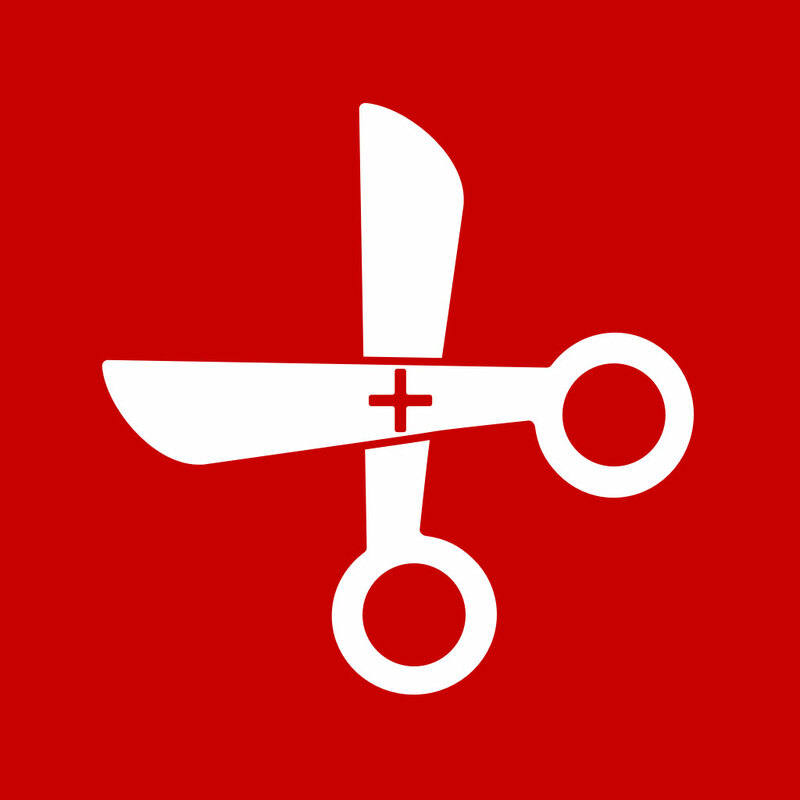 Clips is completely free to use, which is a shocker for such a useful utility. However, there is an in-app purchase of $1.99 to get Pro, which includes full syncing of your clipboard history across multiple iOS devices. Since we deal with copying and pasting text and links a lot here at AppAdvice, we are loving Clips. It’s proven to be an invaluable tool to our daily workflow. You can get Clips on the App Store as a universal download for free.